This little galaxy is churning out the ingredients necessary for planets and life at a frantic pace. 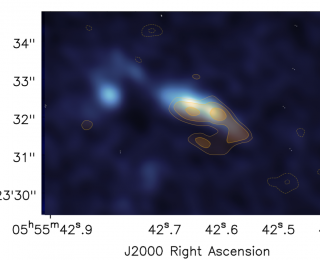 New observations reveal the sharpest view yet of this cycle of gas and stardust. 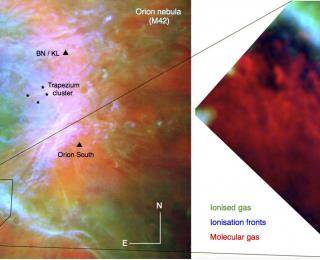 High resolution observations of the Orion Nebula show a complex collision between two extreme types of gas. In the Triangulum Galaxy, over the course of a hundred thousand years, three supernova exploded from the same star cluster. 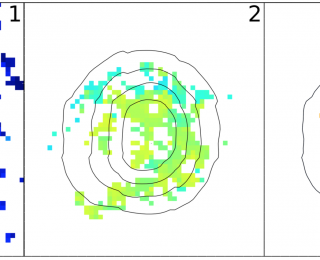 The remains of these explosions have expanded into a trio of giant bubbles nested within each other. Gravity turns gas into stars. 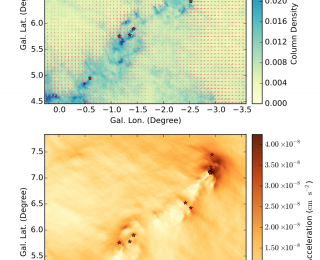 Today’s astrobite introduces a new way to study gravity’s pull in a molecular cloud – the birthplace of new stars. Red giant stars are bright enough to see at the center of our galaxy, but they are missing. 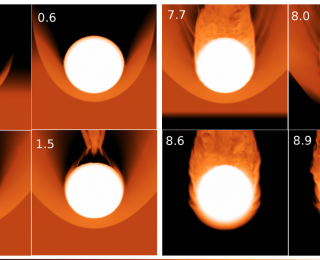 A new study puts stars in a wind tunnel to explore a possible way to dim the lights.